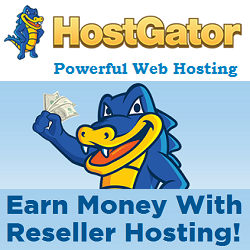 HostGator founded in 2002 at Florida Atlantic University by Brent Oxley. They are one of the largest web hosting provider in the hosting world with more than 9 millions domains hosted. HostGator is owned by Endurance International Group (EIG) who also owns Bluehost, Justhost, iPage and BigRock web hosting company. HostGator offers Shared, WordPress, Cloud, VPS and Dedicated hosting plans to cater the need of any type of business owners. Their shared hosting plan starts at only $2.75 per month. Read our in-depth HostGator review to decide if HostGator is right choice for you. In this HostGator review, we will cover following areas. If you don’t want to read the detailed HostGator review, click here to read the summary. Like any other web hosting provider, HostGator has its own pros and cons. Let’s see what are the pros and cons of having a web hosting account with HostGator. 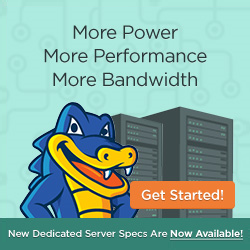 Affordable Price: HostGator shared hosting plan start at $2.75 per month. Free SSL certificate: HostGator offers free SSL certificate when you buy a hosting plan. Flexible Billing Cycle (1 Month to 36 Months): HostGator offers 1 month to 36 months billing cycle. You can choose your billing cycle from 1/3/6/12/24/36 months. The longer you choose, more discount you get. Free Website Migration: HostGator provides free migration service for all new accounts. If you want to transfer your website from previous host to HostGator, their expert team will transfer your website at no extra cost during 30 days of sign-up. Reliable hosting: HostGator guarantees an uptime of 99.99%. If you experience downtime below that, then you will get back one month credit on your account. 45-Day Money Back Guarantee: HostGator offers 45 days money back guarantee. Normally, other web hosting providers offer a money back guarantee for 30 days. Free Domain Registration Not Available: HostGator does not offer free domain name registration upon sign-up. Aggressive Upselling: During the sign-up process, you need to review the additional services offered by HostGator. If you are not sure which additional services to select, uncheck them.You can add them at later stage. Uptime is the most important factor for any website. If your website is down, your visitor will find new website to full-fill their need. HostGator has improved a lot in recent years. You can see the Uptime results of last 12 months. 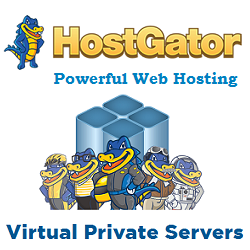 HostGator offers Shared, WordPress, VPS, Cloud and Dedicated web hosting plans. 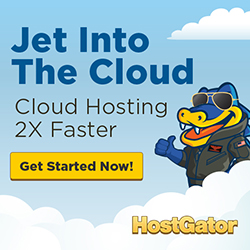 Generally HostGator offers their official promo code (“SNAPPY“) that gives 20% off; the other one is $0.01 hosting offer where HostGator will charge only one cent on your first month hosting bill (the deal is actually below 10% price cut). Here we offer the best HostGator Web Hosting Discount for our readers. You can get 60% discount on your complete order with our exclusive promo code. You can apply the above promo code before checkout the web hosting plans. Instant Shopping Carts, Blogs, Portals, Forums, Counters, and Form mail. HostGator offers 24/7/365 support through phone, live chat, and email. You can take the help of online support portal with over 500+ Video Tutorials and 680+ Help Articles. Even you can access HostGator Community Forum to ask your queries. 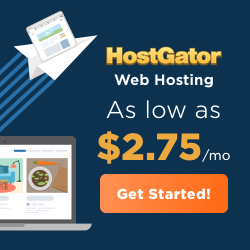 You might be thinking whether you should buy hosting from HostGator or not? The answer is very simple. HostGator is the well-known name in Web Hosting world. They are offering free SSL certificate, free Website transfer, flexible billing cycle, reliable hosting and 45 days money back guarantee. HostGator’s uptime is very strong (99.98%) but speed is just average 985 ms. If you are looking for a cheapest web hosting provider, you can register with HostGator. This is really good for small business owners or newbie bloggers. Whenever you get huge amount of traffic, you can upgrade to HostGator cloud hosting which is really best option. I hope you get the answer of your question. If you are an existing HostGator user, write your HostGator review in comment section. It will help our readers to choose the reliable web hosting provider. If you are new and looking for HostGator review, read the comment section too.